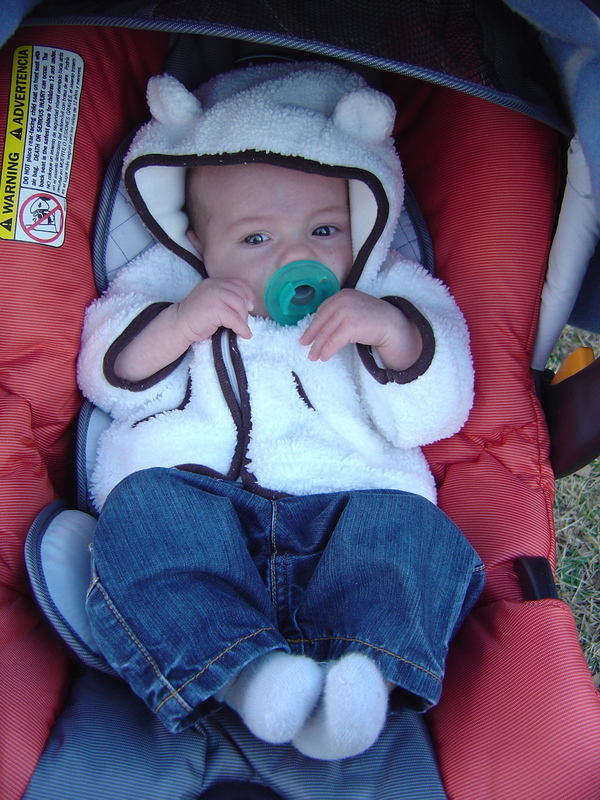 Just yesterday we were enjoying the sunshine and 60 degree weather by taking a walk around the neighborhood. Today is snowed for two hours!! 😀 I was really surprised because usually in South Carolina we get a snow or ice storm in early January and that is it for the winter. The daffodils had already started to bloom and I was sad that we never had any winter weather this season. Having grown up in northern Illinois it put a smile on my face to see the pretty snow falling. 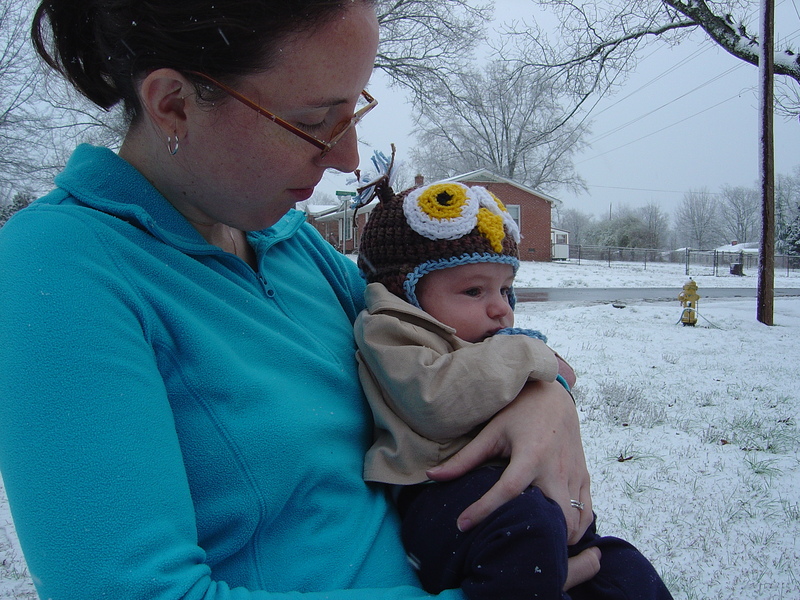 When Stephen came home we took Henry outside to see his first snow. 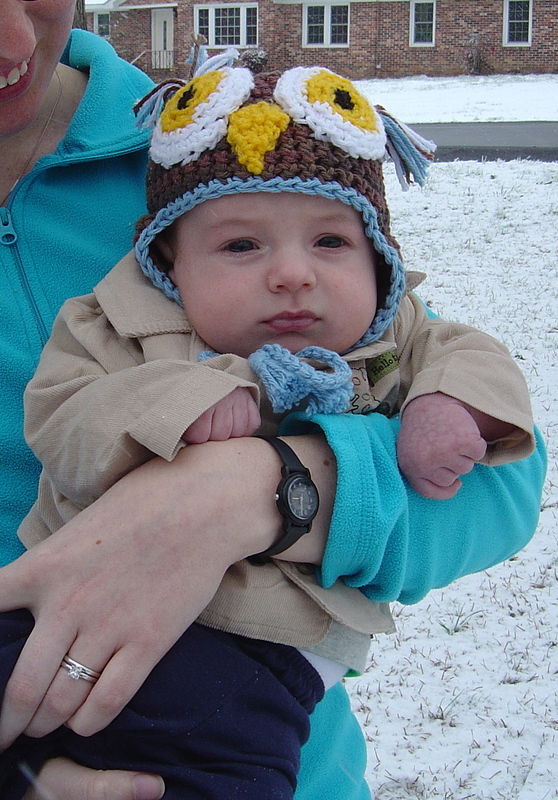 He wasn’t too impressed. Really he was just tired and didn’t care about anything at the moment. Oh well, he will be more excited next winter. I’m glad we went out to enjoy the snow right away because just an hour or so later the sun came out and it started to melt. 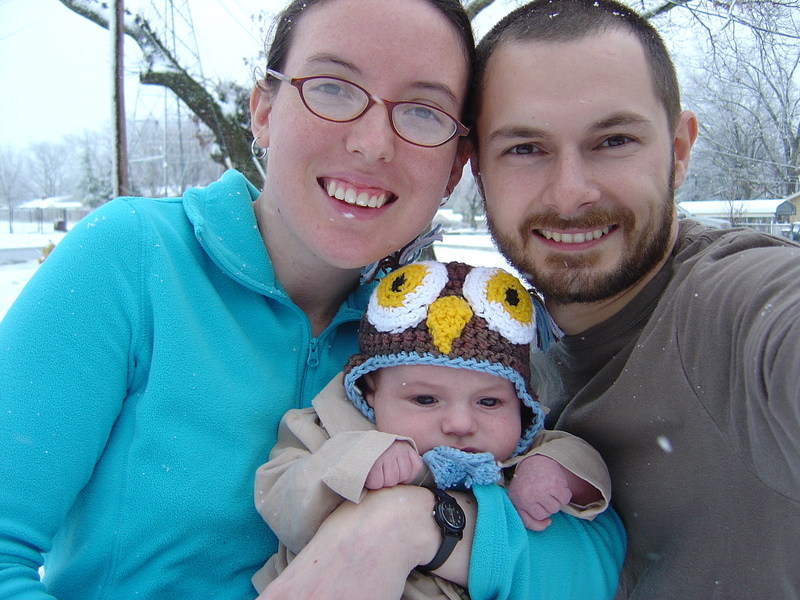 Of course, Grandma L. likes the cute little owl hat on our cute little baby!